Cat-folks are always stressed when deciding whether to put up a Christmas tree. 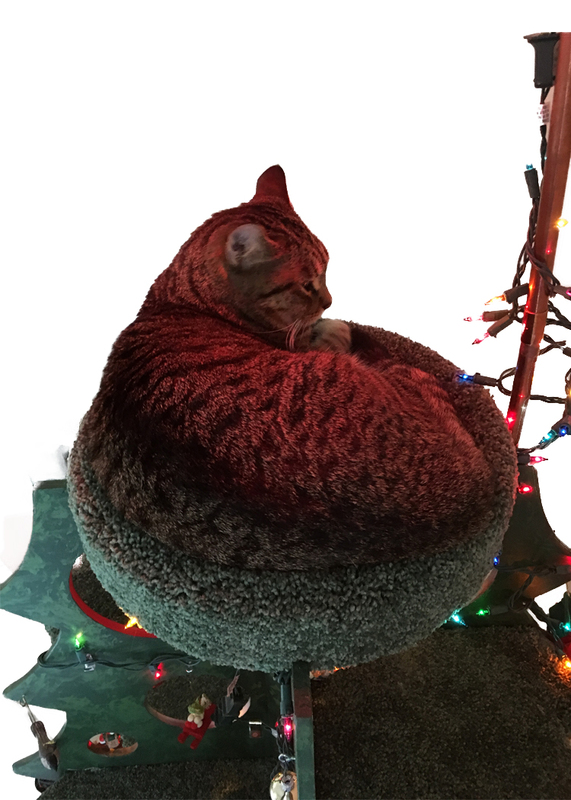 Whether it’s the potential for your cat getting sick from chewing on the needles or lapping up the sap in the stand, or if it’s the fear of precious heirloom baubles getting batted to the floor like playthings, it can add to an already stressful time of the year. 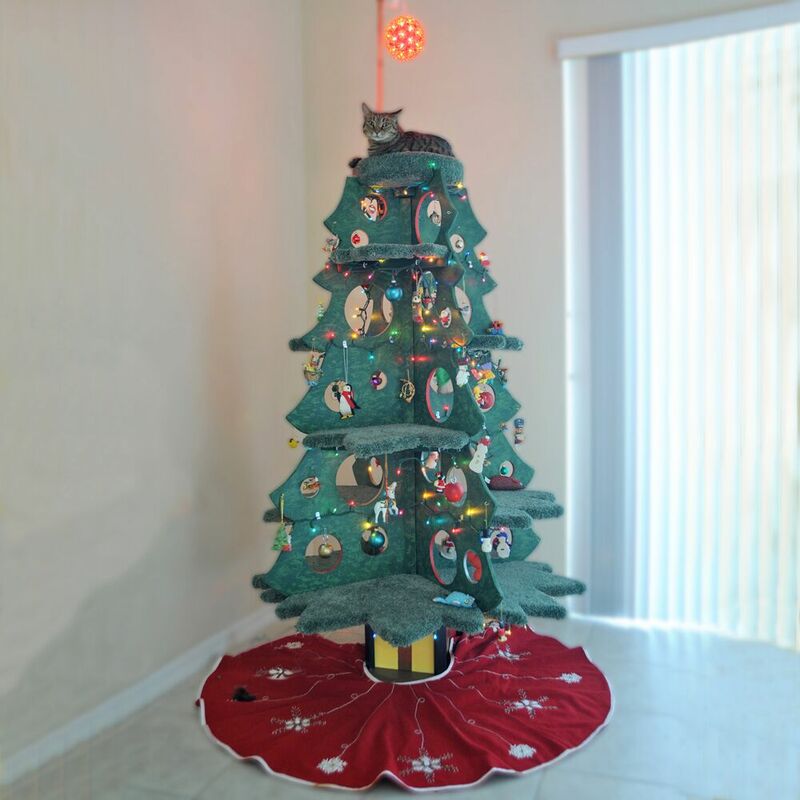 So we thought it was time to create an artificial tree with your cat in mind. 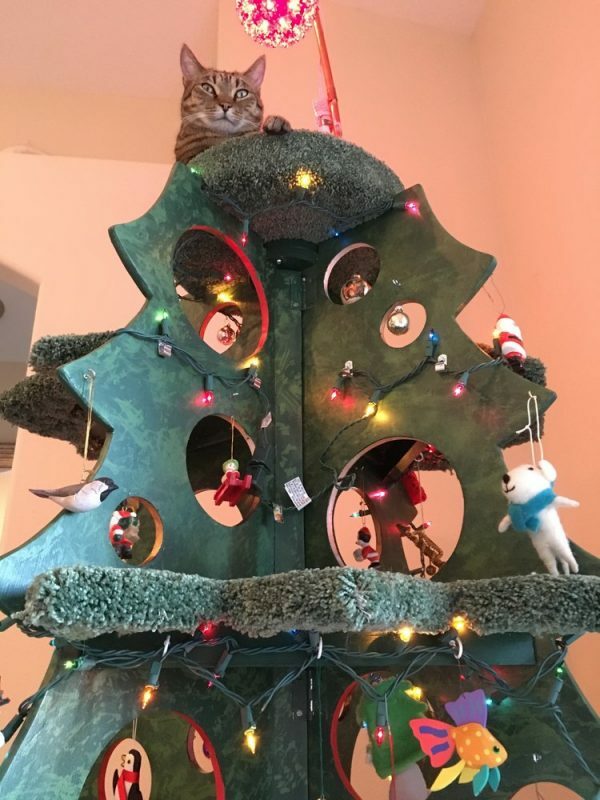 Thus was born the Catmas Tree! 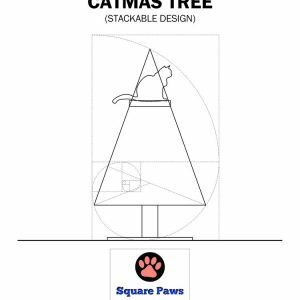 A sturdy wood base with routed slots hold two folding leaves of the tree “body” in place along with four heavy-duty, solid wood blocks that have been painted to look like gifts, making for a very powerful base. 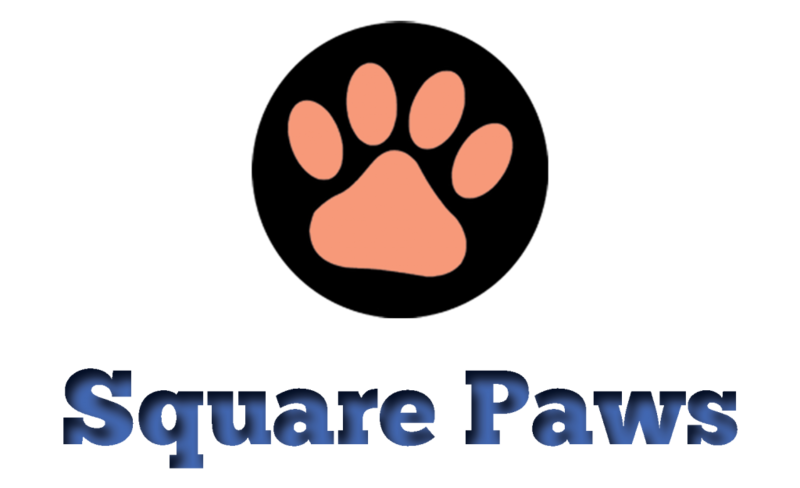 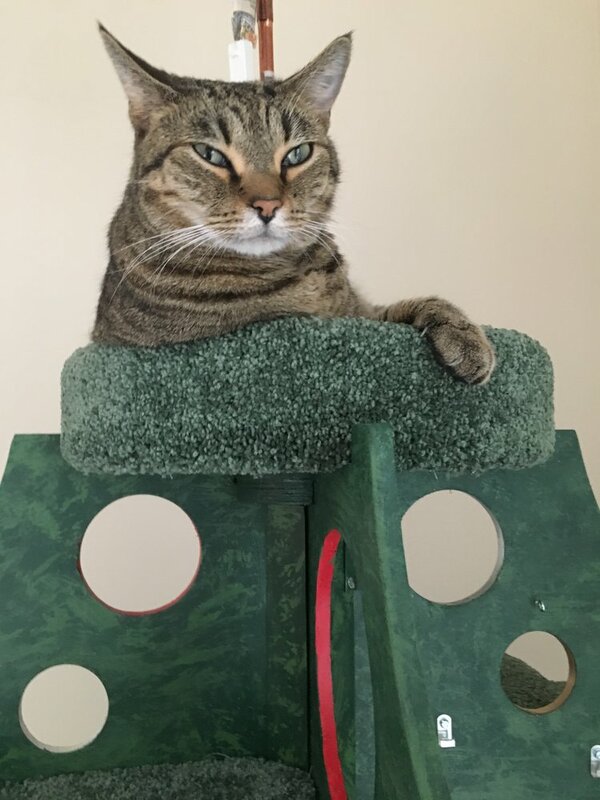 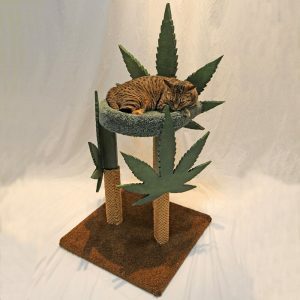 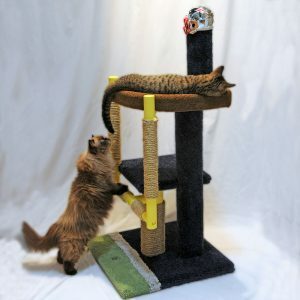 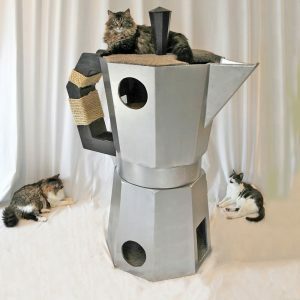 Hand-upholstered branch platforms snap into place with screwed brackets to the center spline, creating a rhythm of perches for your cat to scale on her way to the apex. 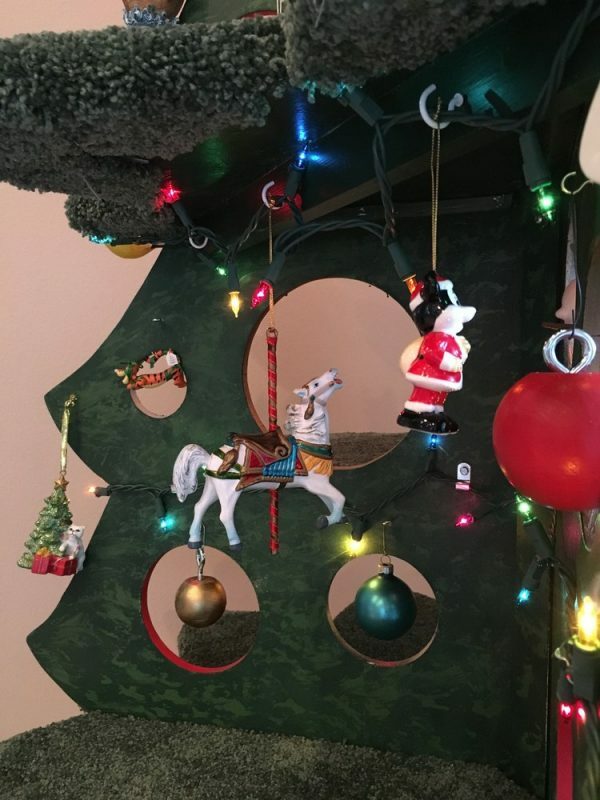 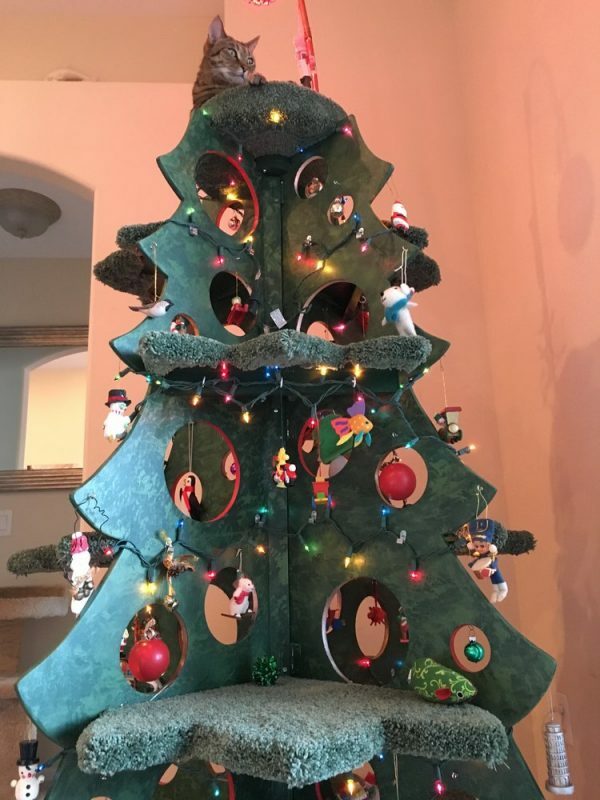 Smaller holes in the tree body are pre-set with hooks for your ornaments or, better yet, a catnip-filled toy, while the larger holes are bare of hooks so that kitty has a place to jump through. 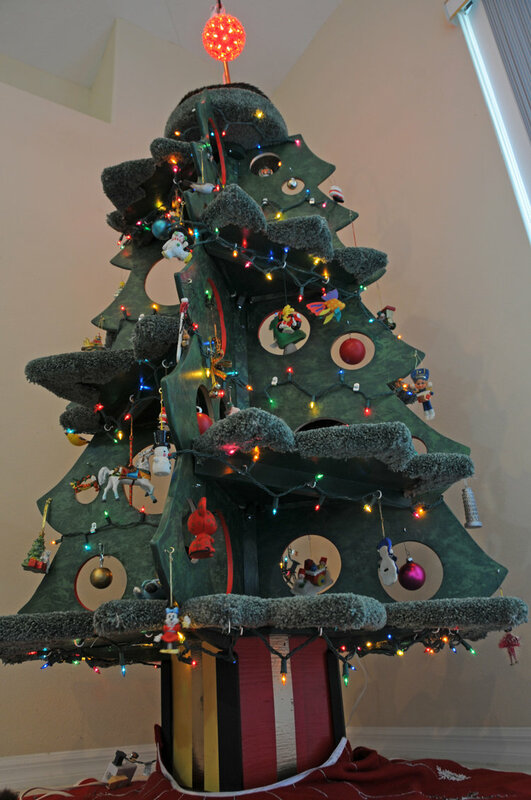 Multiple hooks at the branch “fascias” provide ample places for installing a string of lights and/or more ornaments. 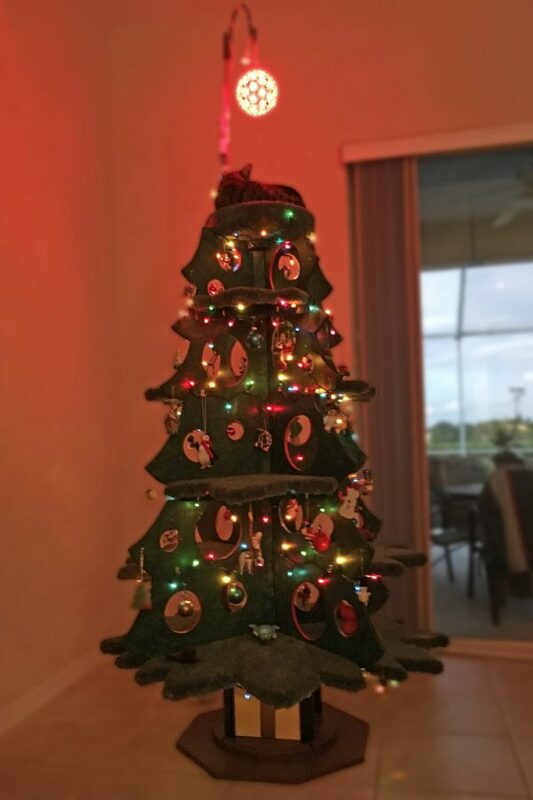 This piece is the only one in the world right now, but we hope to have many more of these in 2018!